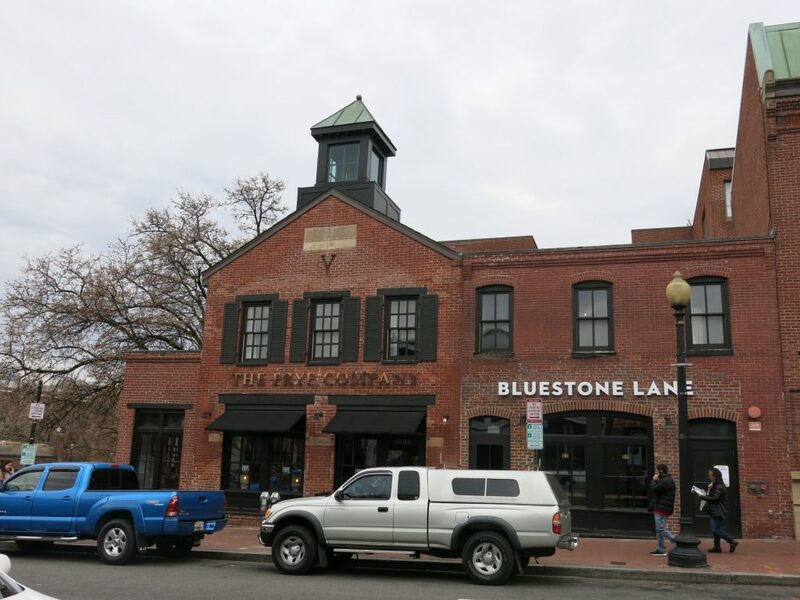 “We are now open with a second location in Washington, D.C.! 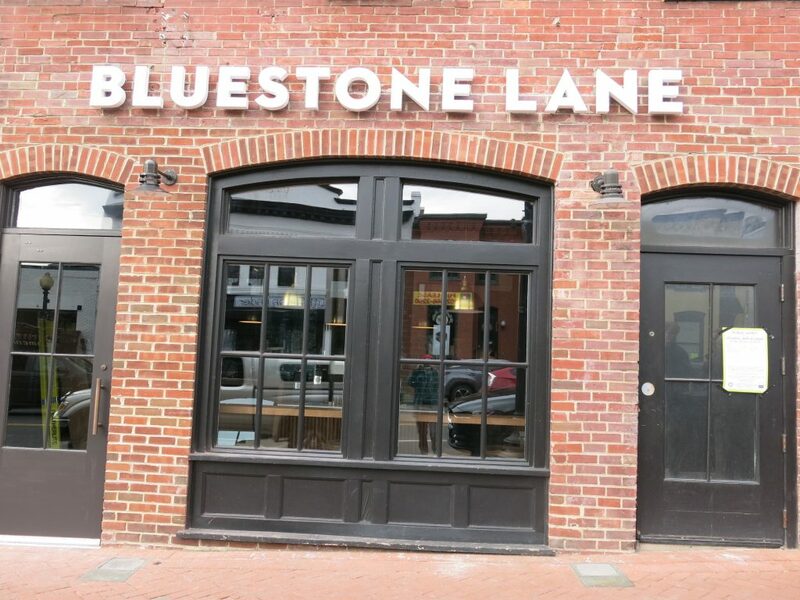 Our new and unique hole-in-the-wall coffee shop is situated within the Georgetown shopping district at 1066 Wisconsin Ave NW. The color palette of this coffee shop is disparate from our other locations, featuring a rustic design and warm tones that pay homage to the heritage of the building, and the rich history of the area. The interior design features deep timber finishes, exposed brick walls and rustic textures, creating an authentic connection to the existing Frye store design. Harsher industrial elements within the space are contrasted with chic pendants and white marble bench tops, creating a modern feel that is minimal and sophisticated. Our signature Mercury Mosaics Sea Green tiles marry tastefully with the dark timber and warmer tones complemented by brass elements and touches of greenery. The cassette pass-through window that connects Bluestone Lane and Frye is built into the custom structural steel wall that separates our spaces. Bluestone Lane’s signature vintage Aussie prints and beach shots by Jacob Gordon adorn the walls.